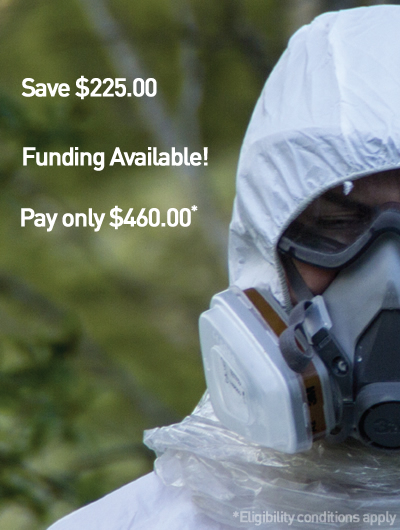 Designed for anyone who is required to manage or remove friable asbestos in Australia. UNSURE WHICH TICKET YOU NEED? Students who are deemed competent will receive a Statement of Attainment, nationally recognised under the Australian Qualifications Framework. This statement is issued by Pinnacle Safety and Training (RTO 40496). This certification enables commercial operators to meet the training requirements for applying to the relevant State Authority for a Class A (Friable) asbestos removal licence. 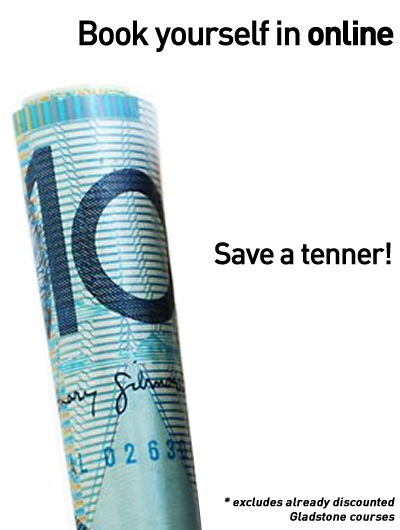 Funding is available for eligible members of the construction industry. If eligible, pay only $460.00 - save $225.00! Check your eligibility and apply now. Asbestos-related disease has killed thousands of Australians. Australia and the UK have the highest rates of asbestos-related death in the world. Asbestos is highly toxic, causing a range of lung diseases that are slow to develop but in many cases deadly. While its use is now completely prohibited, there is a growing need to safely dispose of asbestos and asbestos containing material (ACM). Friable asbestos materials are more dangerous than non-friable asbestos and include asbestos that is in a powder form, crumbled, pulverised or reduced to powder (can crumble easily with hand pressure). This course is designed to ensure that participants have the skills and knowledge required to remove friable asbestos containing material (ACM) and asbestos containing dust/debris (ACD). The course includes preparing for friable asbestos removal, constructing enclosures, removing friable ACM, air and health monitoring requirements, and includes decontamination and disposal requirements. Please note: Pinnacle Safety and Training will not use any asbestos containing material during this training program, however realistic simulation is used. When friable asbestos containing materials (ACM) are present, or even suspected of being present in the workplace, only qualified personnel are permitted to safely identify, manage or remove it. Any worker removing friable ACM or ACD must be appropriately trained, as outlined in the Work Health & Safety Regulation 2011 and the Code of Practice for the Safe Removal of Asbestos. This course is a legal requirement in most states and territories for workers who need to remove friable asbestos. Refer to your State/Territory Authority for more information. Tradespeople, contractors and other business operators: Friable ACM must only be removed under the authority of a Class A (friable) asbestos removal licence issued by the State/Territory Authority. As an employed worker, you must do this course to ensure you can safely remove friable asbestos. Queensland - Fact sheet. Doing this course is required before applying for a Class A licence and working with friable asbestos. Asbestos removal supervisors must hold this unit of competency AND the competency CPCCBC4051A Supervise Asbestos Removal AND have at least three years industry experience (see our Supervise Asbestos Removal course). For more information and details of how to apply for a licence, please see WorkCover Queensland. 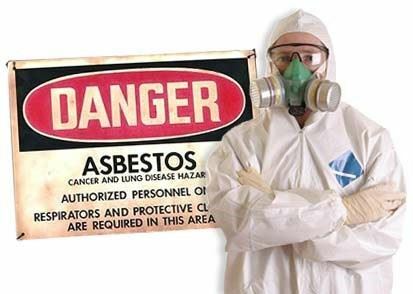 Homeowners: homeowners should not attempt to manage or remove friable asbestos. Leave it to the professionals. 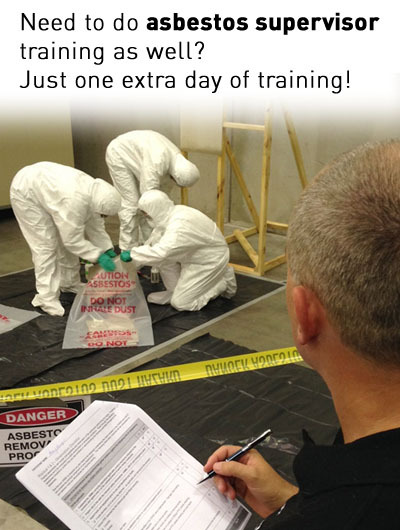 Our nationally recognised one-day remove friable asbestos course is designed for a worker who is required to manage or remove friable asbestos containing material (ACM) in Australia. The course includes preparing, enclosing and removing friable ACM, and knowledge of decontamination and disposal requirements. This training course is taught by experienced instructors who will outline theory and practical scenarios that are relevant to your work site. 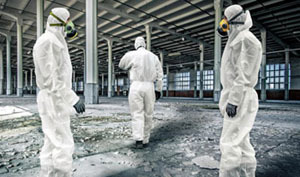 This training course is very hands on with at least 50% of the time allotted to the practical aspects of operating in an asbestos-contaminated worksite. Participants are asked to wear long pants and closed shoes (high-vis and steel-caps not required, but are welcome). This training is realistic, somewhat physical and may involve working in hot or cold environments whilst suited up in PPE. It is important that all personnel who attend this course have a suitable level of fitness and are willing and capable of moving about in a small enclosed room, and wearing face masks. 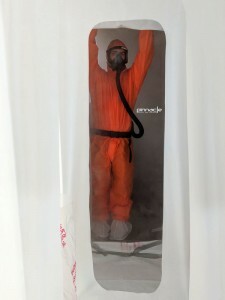 This course requires practice in wearing correct, full PPE and undertaking personal decontamination techniques, therefore participants must be prepared to wear shorts and T-shirt under coveralls. Participants must bring additional clothing - shorts, singlet top/T-shirt and a pair of thongs (flip-flops) for the practical activity. All participants must hold CPCCOHS1001A - ‘Work safely in the construction industry’ obtained after 11 May 2009 OR CPCCWHS1001 - ‘Prepare to work safely in the construction industry’. This is commonly known as a ‘White Card’. If you do not provide this by the business day prior to your course commencement, your enrolment will be cancelled, and you will not be permitted entry to the course. If this occurs, our terms and conditions will apply and therefore your course fee will not be refunded nor held in credit. NOTE: If your White Card was issued prior to 11 May 2009, we cannot recognise this as a valid prerequisite as it does not prove that you were assessed against the correct unit of competency. If you need to obtain or renew your White Card, this can be done with us at low cost prior to your training day - see our White Card course here. Participants must supply proof of attainment of CPCCDE3014A - Remove Non-Friable Asbestos (unless gained through Pinnacle). Great facilities, easy booking system and Courtney was very helpful on the phone when booking. Sebastian was perfect for this type of training, made the course fun and interesting, kept the students involved and interested. Best training course I’ve ever done.